The Queensland Building and Construction Commission has warned those who have purchased Aldi tapware to be cautious after tests found an Aldi tap may cause lead contamination in drinking water. Whilst conducting an investigation into a separate matter, the Queensland Building and Construction Commission (QBCC) said it discovered “potentially non-compliant tapware being sold by Aldi”. The tap in question is the “Spiral Spring Mixer Tap” (EASY HOME brand, model number NI183ESCRT-AUD) and QBCC believes that more than 3, 000 units have been sold in Queensland. The tape is also available for sale in Aldi Australia stores outside of Queensland. 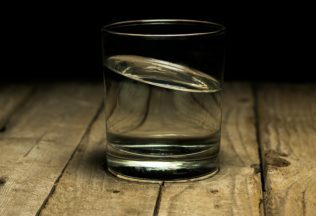 “Tests by Queensland Health Forensic and Scientific Services have shown that lead levels are up to 15 times the maximum acceptable level of lead in drinking water, as per Australian Drinking Water Guidelines,” he said. QBCC says it has passed on its findings to the Australian Competition and Consumer Commission. Australia’s academic community has responded to the warning with one academic, Paul Harvey, who is a Postdoctoral Researcher in the Department of Environmental Sciences at Macquarie University, describing QBCC’s findings as “not a new problem”. He said that a study he conducted with other researchers in 2016 reflected that this was a widespread problem across Australia. “Our data shows that new taps in Australia are generally non-compliant for lead concentrations at the time of installation and this is reflected in the elevated concentrations of lead in drinking water at kitchen taps across the country,” he said. “Consumers can readily purchase off the shelf products that contain very high concentrations of lead, up to 4.5 per cent, compared to the maximum allowable USA value of 0.25 per cent, with no warning labels or indication of potential hazards. Despite recommendations for flushing taps prior to use, this is not always effective,” Harvey said. “This is an ongoing hazard associated with all lead-brass fittings Australia-wide and the only immediate solution to this problem for consumers is to install lead-free taps,” he concluded. “While the levels involved are low and not likely to cause acute lead poisoning, lead is a cumulative toxin,” Dr Mulgrave said. “Continued consumption of low levels of lead can have adverse effects especially in young children and unborn babies. Effects include disruption of red blood cell, production, kidney damage, behavioural disturbances and other nervous system effects,” Dr Mulgrave said. “Unfortunately, details of the degree of contamination are not clear, it appears to be only one tap that has been tested, thus the report of ‘has up to 15 times the permitted lead levels’ from a single tap may indicate that the contaminant is leaching out variably. Until it is determined whether other taps of this brand are similarly contaminated (previous test samples had complied with Australian regulations) people who have purchased these taps should not use water from them for drinking or cooking. Anyone who has any health concerns should consult their health professional,” Dr Mulgrave concluded. In response to QBCC’s warning, an Aldi Australia spokesperson said Aldi takes safety very seriously, adhering to strict assurance processes and relentlessly testing for all its products. “The Spiral Spring Mixer Tap, on sale as a Special Buy on 10 June 2017, was independently tested and confirmed to comply with Australian standards prior to going on sale. It is certified to the WaterMark and compliant to the WELS scheme,” the Aldi spokesperson said. “Aldi is liaising with the responsible authorities and our supplier to investigate the matter with utmost urgency. If at any stage test results confirm that chemical parameters do not meet regulatory requirements, Aldi will take appropriate action,” Aldi’s spokesperson stated. “Aldi will always remove any product from sale if it is identified as a risk to our customers. If any customer is unsatisfied with a product purchased at ALDI, they are welcome to return it to the store for a full refund,” the Aldi spokesperson concluded.